Thu., June 29, 2017, 9:12 p.m.
PULLMAN – Josh Hawkinson, who finished his four-year Washington State men’s basketball career in 2016-17, has signed a contract to start his professional career with the Toyotsu Fighting Eagles Nagoya of Japan’s B League D2, Eurobasket announced. Hawkinson concluded his Washington State career as the school’s career record holder for rebounds and double-doubles with 1,015 rebounds and 56 double-doubles. He also holds the single-season rebounding record which he set as a sophomore in 2014-15. This season, Hawkinson ranked second in the Pac-12 in rebounding with 10.2 rebounds per game, tied for first in free-throw percentage at .833, 12th in scoring with 15.5 points per game and fifth in minutes played (35.4 mpg). He led the league and ranked fifth in the nation with 8.4 defensive rebounds per game. He became the 13th Pac-12 player to reach 1,000 career rebounds and ranks 12th all-time in the league. 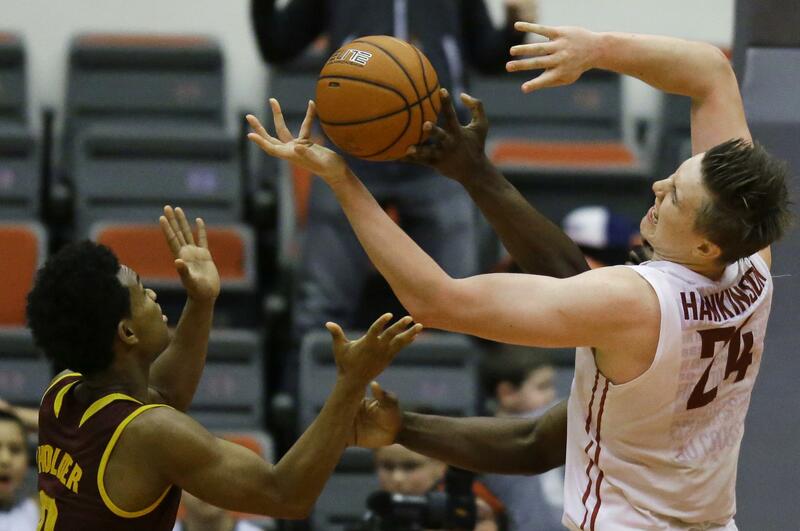 Hawkinson also finished his Pac-12 career ranked eighth with 583 rebounds in conference play. Published: June 29, 2017, 9:12 p.m.